There are a few things that I need to let you know before I dive into this review. 1) This book was given to me by the author, Tabatha Vargo, to beta read. 2) This book is not yet released; however, the moment that I know, I will let you know! And 3) I want to say THANK YOU for this amazing read! Best part of the book: For the first time I was not sure what to choose as the "best part". So, I am going to say the best part is: Tabatha Vargo. She is the most descriptive author I think I have ever read. I felt sad when Mage was sad. I felt heartache with Adam. I laughed at them and I felt like I was sitting in the garden with them. Her attention to detail in the book was perfection. I was entwined in this world with Mage and Adam that I almost skipped going to a football game (I never skip football! EVER!) When I started this story, I felt so sad for Mage. She has no parents and was raised by her grandparents, but she always had these "abilities". Because of her abilities she was an outsider. She never had friends, but always had a crush on Adam. I love their backstory the most. Then Adam begins to notice her and talks to her! Soon, they spend time with each other and Mage begins to "break-out" of her shell (a little bit). However, it can never be that simple. Mage's past begins to haunt her and it all becomes so complex. 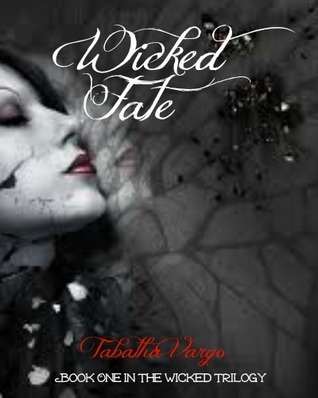 I don't want to go into much detail because Tabatha Vargo does such an amazing job with this book that YOU HAVE TO READ IT! Not so great about book: I am trying to replay the book in my head and think of what I did not like about it. However, there was one thing that I did not like (and I won't reveal it because it will spoil the book). Nonetheless, I know that it was a must because it pulls the story together. I can live with it though because I know that BOOK 2 is going to be outstanding!